Welcome to The Historic Village of Phillips Mill located in Newark, DE. This must-see upscale community features a unique mix of 11 homes which includes mill homes and semi-detached homes, as well as a farmhouse, which are located near the Newark Country Club, U of D, and back up to the peaceful Christina River. 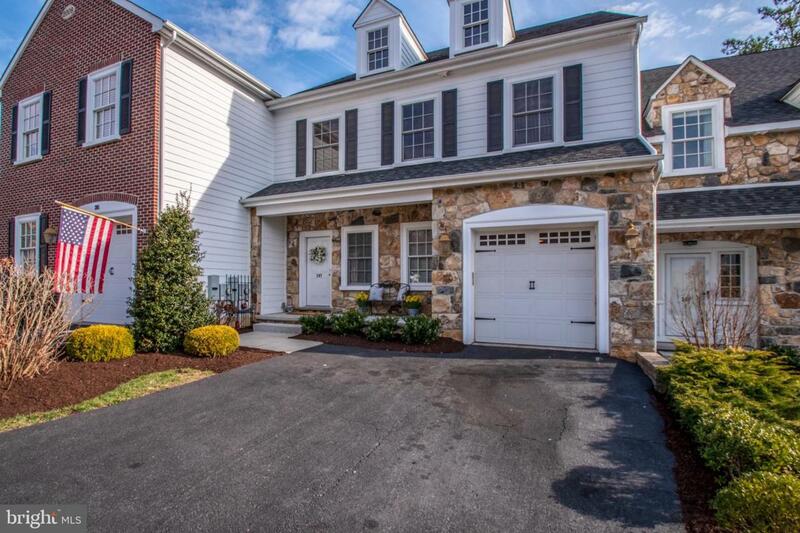 This 3 bedroom, 2.1 bath, 6 year old luxury town-home offers a partial stone front elevation, 1 car garage, a large maintenance free deck with a spectacular view overlooking the Christina River. The large deck is great for entertaining or just relaxing and taking in the sights and sounds of nature. The large open kitchen is a cook's dream and features 42" custom cabinetry with striking granite counter tops, a center island with electric and additional cabinet space, high end stainless steel appliances including Viking gas range and recessed lighting. French doors lead out from both kitchen and living room to the maintenance free deck. Adjoining the kitchen is a large butler's pantry with added storage. Upstairs you will appreciate the large master bedroom with two huge walk in closets. The master bath has a soaking bubbler tub with views of the incredible scenic back yard. The large tiled shower that can easily fit two people. Additionally, you will find a second floor laundry room, 9 ft ceilings throughout the home, beautiful hard wood floors and approximately 1350 square feet of lower walk-out level living available for finishing. The home's entire interior has been freshly painted and professionally cleaned. Closet space and storage are key elements of this beautiful home along with it's spectacular scenic views.